We serve ALL of the people! The November 3rd 2020 Election may be a bit in the distance, but we need to begin learning about the candidates and supporting those we know are running locally. Task One is we need to REGISTER new voters. We need your help electing Democrats up and down the ticket to save our healthcare, schools, environment and the many other issues facing the people of our county and state today. Find out how you can get involved by clicking here! 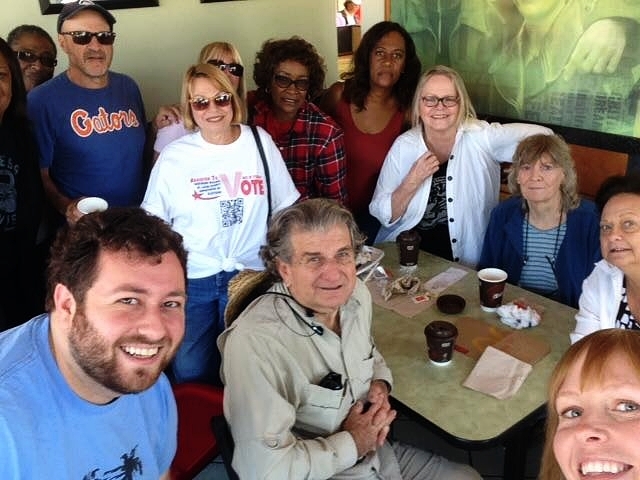 Join our wonderful St. Lucie Democratic Party Volunteers who are working hard to get our candidates elected! Help us fight for our Democratic values and meet like-minded new friends. From the top of the ticket down, learn about your candidates and future amendments that will be on your ballot November 3rd 2020.